Your BMW has a number of belts that must be replaced at varying intervals. For instance, timing belts should be replaced every 60,000-100,000 miles, depending on the engine. V-belts and serpentine belts should be replaced every four to five years to minimize the risk of sudden belt failure and breakdown. 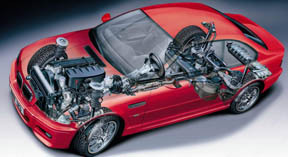 We also inspect and correct belt tension, hoses, and filters to keep your BMW performing to its potential. Belts, hoses, and filters wear over time, so they must be maintained regularly. Engine overheating and breakdowns are never convenient; so don’t wait until belts, hoses, and filters fail. At Dobson’s we are BMW experts, so let us help you manage the replacement schedules and keep your car in peak condition.